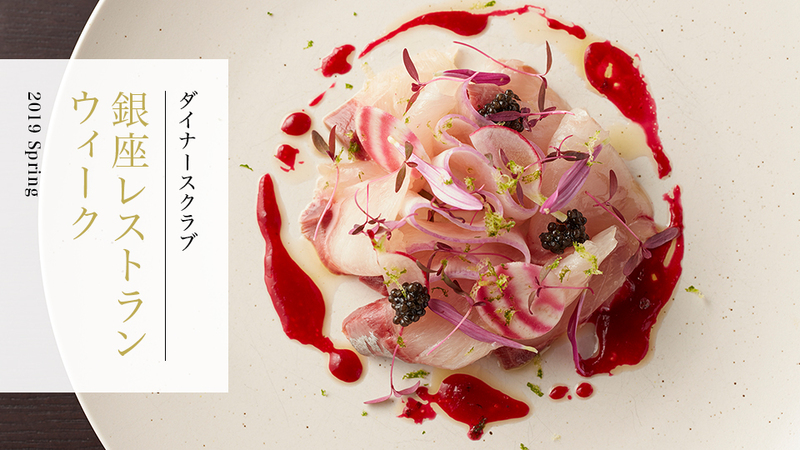 Prestigious Ginza restaurants will offer showcase dishes for a limited time at special prices. Take advantage of this exciting opportunity! Participating restaurants will offer a special Diners Club Ginza Restaurant Week course. ●Dinner course: 10,000 yen (includes service charges, but excludes tax); Each dinner course order also includes a complementary pre-meal aperitif. Note that tax is not included in the above price. Restaurants not open for lunch will not offer the Special Lunch Course. A restaurant may be unable to accept a reservation due to a limit on the number of available Special Lunch or Dinner Courses that can be served. Make sure to inform the staff that you are making a reservation for the Diners Club Ginza Restaurant Week Special Course. Note that Special Courses will only be served with prior notice when the reservation is made. Important. Please read the following before use. Other discounts, benefits, services or campaigns cannot be used concurrently. Please note that the restaurants will charge a fee for reservation changes/cancellations. Fees vary by restaurant. See the Diners Club website for a list of participating establishments.